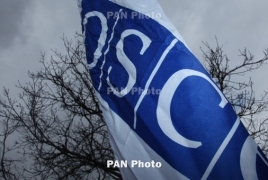 PanARMENIAN.Net - The OSCE Mission will on Tuesday, August 28 conduct a planned monitoring of the ceasefire on the contact line between Artsakh (Nagorno Karabakh) and Azerbaijan. From the Karabakh Defense Army positions, the monitoring will be conducted by Field Assistants to the Personal Representative of the OSCE Chairperson-in-Office (CiO) Ghenadie Petrica (Moldova) and staff member of the Office of the CiO Personal Representative Martin Schuster (Germany). The authorities of the Republic of Artsakh have expressed their readiness to assist in conducting the monitoring and ensure the security of the OSCE Mission members. VivaCell-MTS unveils cost-efficient services through Cloud PBX solution Access to cloud PBX is being provided through Data and Internet channels (IP network) from anywhere inside Republic of Armenia. New study links hearing loss to higher depression risk Researchers analyzed data from 35 previous studies with a total of 147,148 participants who were at least 60 years old. Some brain functions may be restored after death The researchers did not restore any electrical brain activity, nor did they find any evidence of awareness or perception.